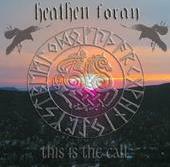 The Story of „Heathen Foray“ begins in autumn of 2005 in the city of Deutschlandsberg (Styria/Austria). After the collapse of their old band, Jürgen Brüder (Ex-Plethora) and Daniel Koinegg (Ex-Plethora) decided, in a night full of alcohol, to try it again with a new project. In Mai 2006, Daniel quit the band. He decided for personal reasons to leave the project. Soon after Daniel had quit, a more than fitting replacement was found. Safet Pehlic (Arctic Light) replaced Daniel. The musical style of Heathen Foray is hard to define. Some people say they play Viking-Metal with strong Power-Metal influence. Others say that they play Melodic-Death-Metal with Folk influences. We confess…we don’t know it ourselves. But one thing is sure: The style of Heathen Foray lies somewhere between those extremes!